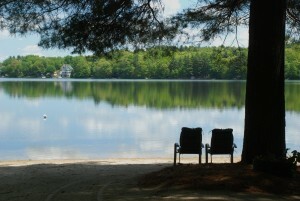 Imagine, three cabins, nestled in the forest, steps from the lake. As you turn onto the dirt road that is Island Road, the first thing you come to is Wallis Cove Rd (on the right). That is where these three delightful cabins reside. Each was hand-crafted by Charles (Charlie to the natives) Church. They were designed by him and meant to last for a very long time. The timber used to build each cabin was harvested from the surrounding forest. 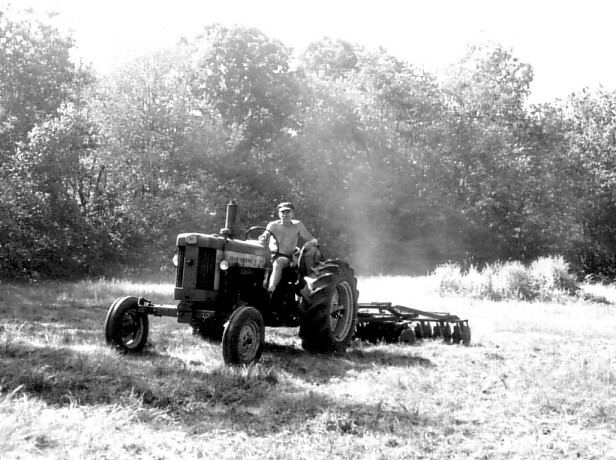 Choice trees were selected and milled in the sawmill owned by the Church family. Charlie built these cabins over 50 years ago, to help afford to maintain the beautiful 100 acres of forest they reside in. People used to say to him, "Charlie, you could make a million bucks if you sold this land." Charlie's reply? "Do you know what I would do with a million bucks? I would buy more forest!" 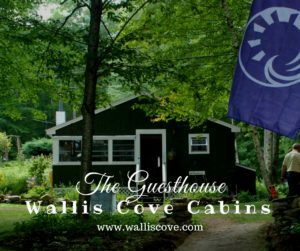 When you spend time here at Wallis Cove you will feel the delight of the seclusion of the area. Charlie's love of the land continues! As you come down Wallis Cove Road and turn to look at the water there are two cabins opposite each other. Cabin #1, on the left, is the first cabin Charlie and his carpenter friend built. 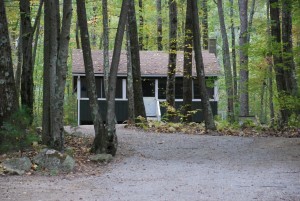 Cabin #2 was the second and is on the right. Both cabins are mirror images of each other in layout. From the front door you walk into the kitchen and living area. There are two bedrooms which hold double beds. The bath is to the right. The stairs to the loft area are more like a ladder than stairs. Solidly build and railed, they take you up to the loft which has 4 twin beds in a dormitory fashion. The cabins can sleep up to 8 people. 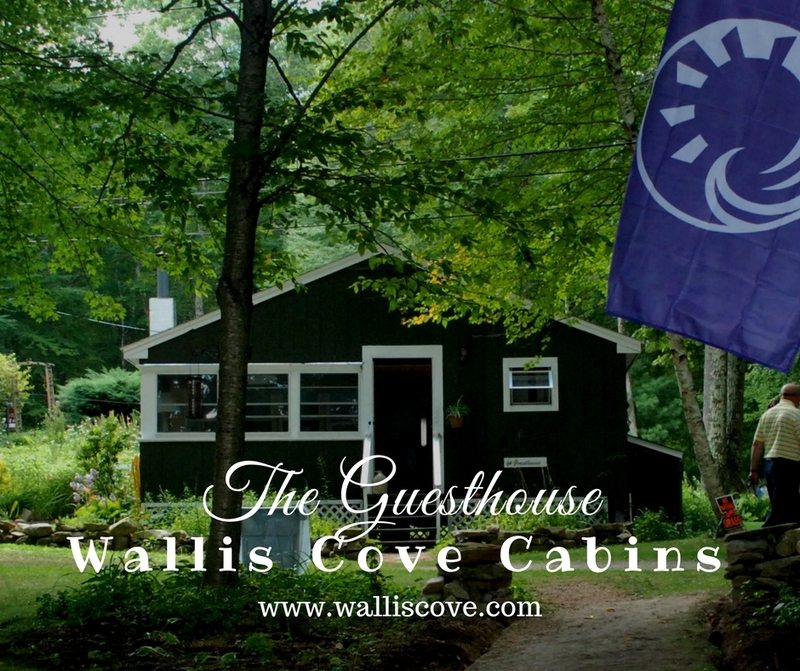 As you come down Wallis Cove Road, the first cabin you see is Cabin #3. From its front screened-in porch, you can see the lake, natural habitat, and the other two cabins below. Charlie's thought with this design is that it is perfect for a couple or small family. 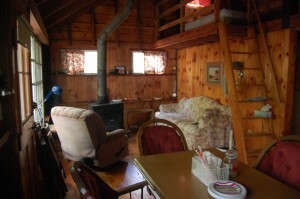 Cabin #3 is a favorite of those who like to sit on the comfortable good-sized porch. It also has a table and chairs which make it a great place to play cards or enjoy a meal. As you walk into the cabin, you are in the kitchen/living room. There are to bedrooms. One has a double bed and the other has both a double bed and a single bed. The bathroom completes the set-up. Cabin #3 sleeps 5. We also have two Camp Cots that are available for porch sleeping. 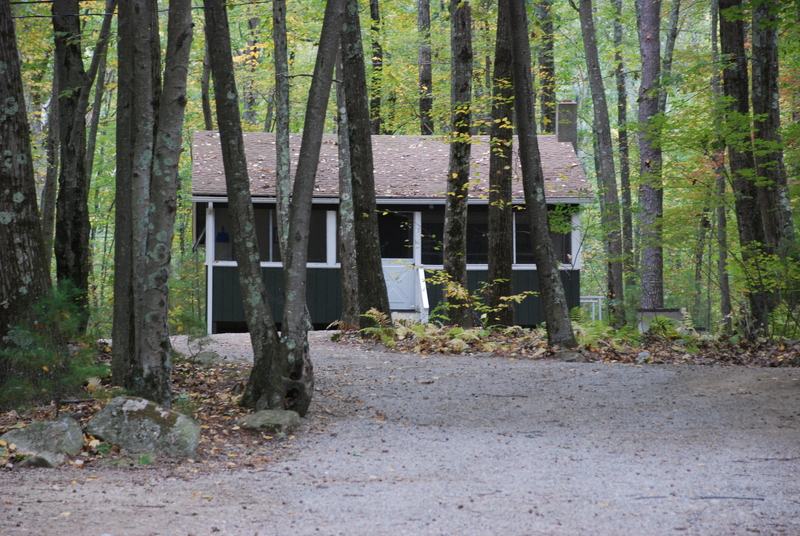 Each cabin has a stove, frig, microwave, toaster, coffee pot, dishes, pots, pans, utensils, broom, dustpan, mop. There are usually cleaning supplies and dish soap. Each cabin has a Franklin wood stove for heat. Although there is often some wood in the cabins for the Franklin stove, it is best to make arrangements for wood for the fire pit outside. We are happy to provide you information on where to get the wood. There are no televisions or Wi-Fi in Cabins 1, 2, or 3. This is the opportunity to become unplugged! There IS good cell service in the area. Verizon is excellent. The Guesthouse cabin is located just a little further down Island Rd. This cabin has a beautiful sand beach nestled in a private cove with gas grill, picnic tables, fire pit with Adirondack chairs, canoes and kayaks, which it shares with the main house. 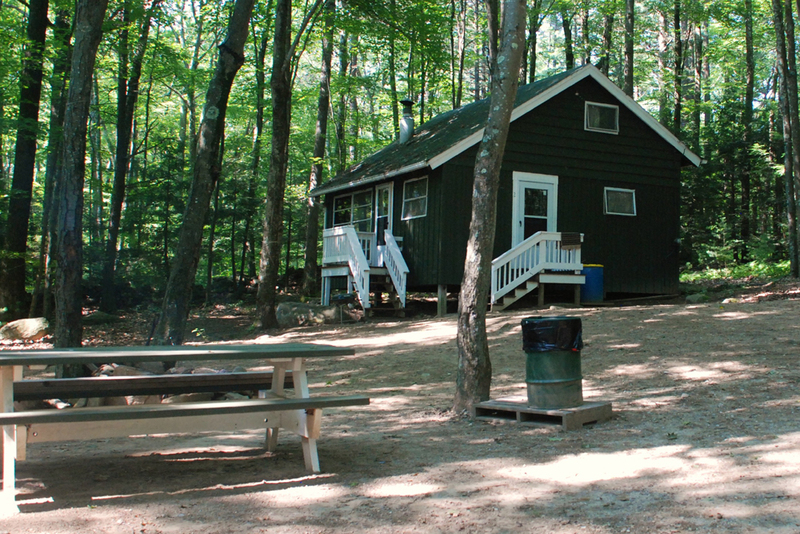 The cabin has many amenities such as Wi-Fi, Smart TV, linens and towels and can sleep five. The Guest Suite, not to be confused with our Guesthouse, is fully furnished and decorated in Victorian style. 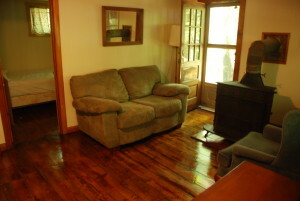 It offers a tasteful and charming environment for singles, couples and seniors looking for a peaceful retreat. It offers one bedroom with a full sized bed, bathroom with separate shower and jet tub, fully furnished kitchen and living room with smart TV and wing back recliners. Accommodations for up to two people. Great for singles, couples and seniors. We allow a pet under 25 lbs. We have outdoor pen and have crate if pet is left alone indoors. Proof of rabies and license required.